The slow process of completing the structural steel sub floor continues. Now being June we are losing some production with wet days. 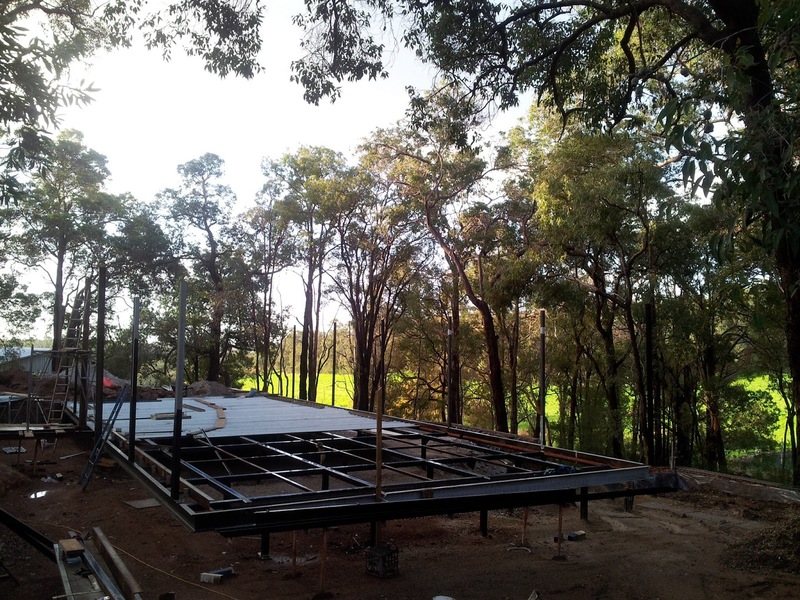 Photos show the completed sub floor steel with the much larger ( PFC230) welded to the outer perimeter of the building. 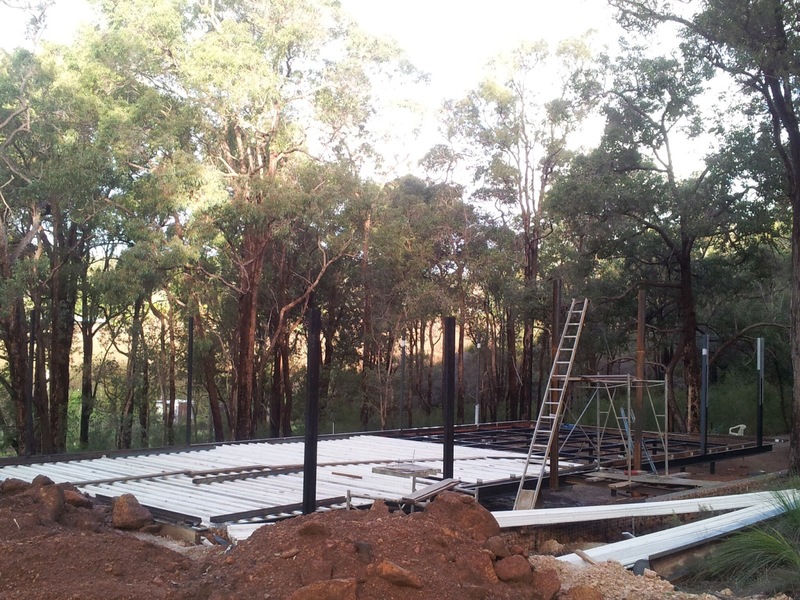 Steel columns are also welded in place, twin posts at the front and single at the rear edge. Another channel will be fitted on top of these posts. 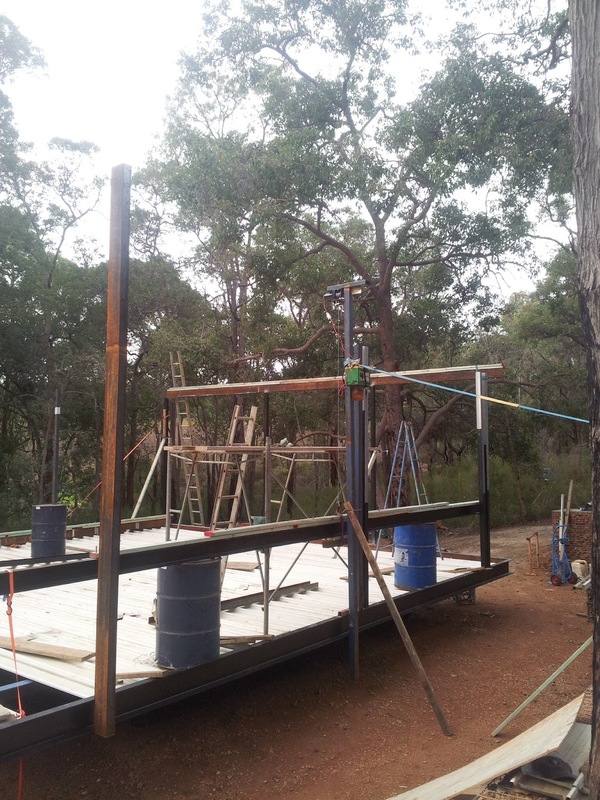 Getting up there will be a challenge at 4 metres above ground and weighing about 140 kgs. 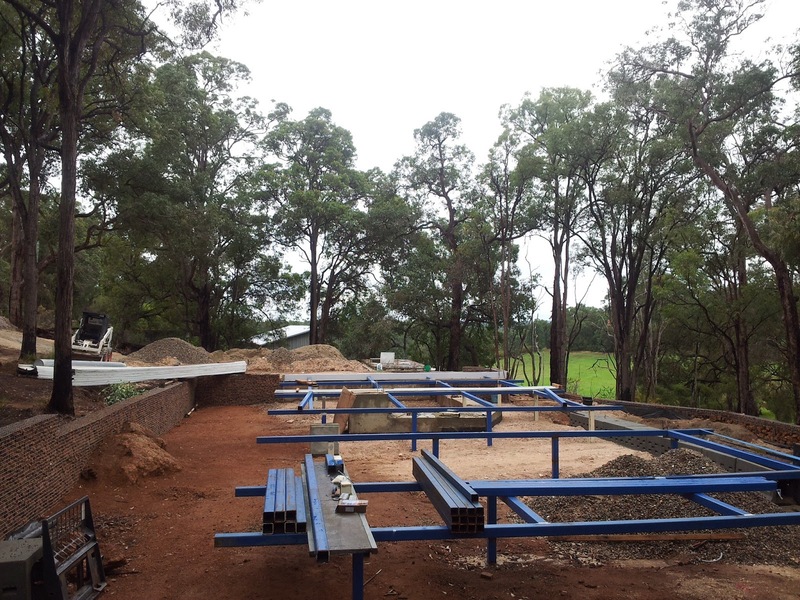 Part of the steel formwork in place for the concrete floor. 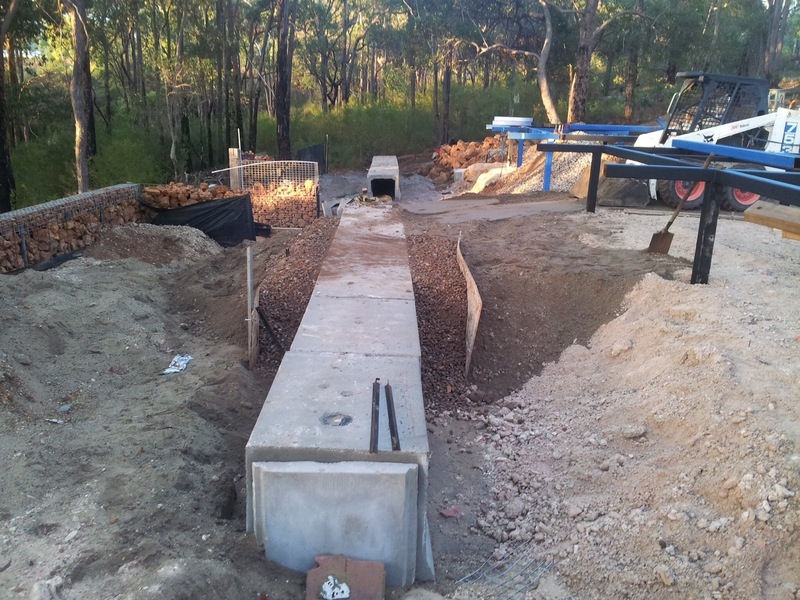 In between welding the steel frame, the concrete leech drains are put in place. Note the drainage stone being used is from recycled concrete, a very inexpensive product. 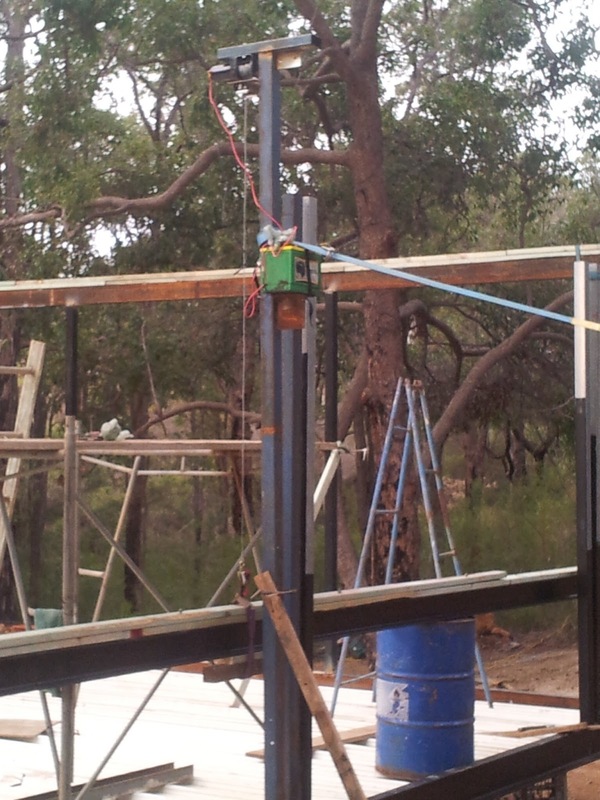 A DIY 12volt electric winch being used to lift the top beams into place were they are then welded to the columns. The winch is from a quad bike and worked a treat! One beam is inplace and another ready for lifting. Note the treated pine timber fixed to the top of the beam is to fit the gutter to, much easier than trying to fix to 10 mm thick steel . 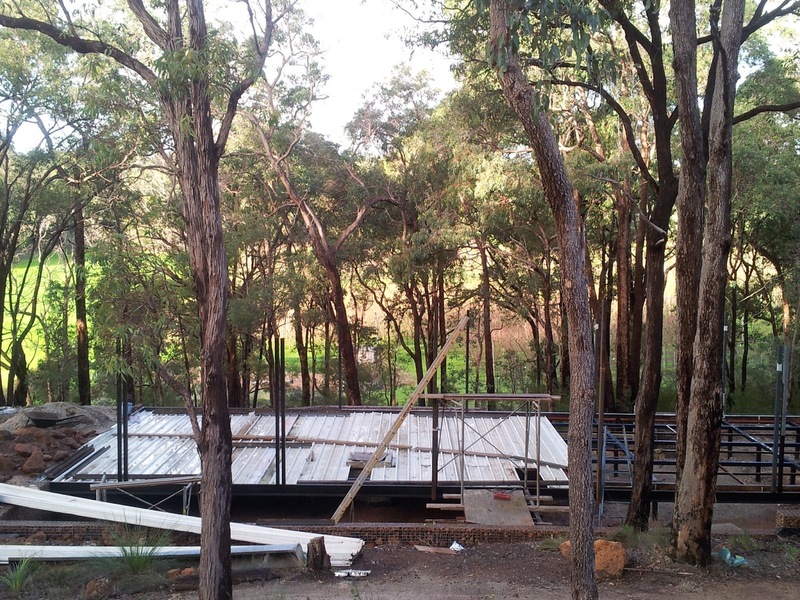 Once the beams are fitted the z200 purlins will be bolted to the ring beam .